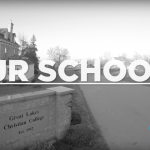 Why Great Lakes Christian High School? In most contemporary societies education has focused on academic training that prepares people to become healthy contributors to society. Moreover, almost all educators agree that a quality education cultivates the growth of the whole child: intellectual, creative, emotional, social, and physical. This focus on holistic development is, positively, integrated into most contemporary curricula. Yet there is an integral piece missing: spiritual. In a pluralistic society, spiritual formation is too messy to be part of the mandated educational system and is, therefore, almost neglected entirely. 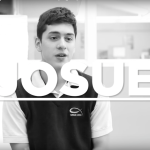 Christian Education is truly holistic, equipping students in all areas including spiritual. Academics are delivered from a Christian worldview in a Christian environment. Humanist and secular philosophies are embedded in almost all forms of public educational curricula and social agendas often dominate what is taught in schools. In Christian Education, curriculum is Christ-centered and the Bible is taught across the curriculum. More significantly, staff and teachers model what it means to live for Christ in one’s everyday experience. For Christian families, Christian Education means that their children’s daily experiences reinforce family faith and values. Spiritual formation is the responsibility of the family and the church, and Christian Education is an extension of those efforts. Young people will find it difficult to grow in faith when their daily environment works against the few hours a week families have to provide spiritual edification. For families that do not consider themselves Christian, they find the values and expectations presented in a Christian environment better reflect the lifestyle and attitudes they want to see cultivated in their children. At GLCHS we are committed to ensuring that spiritual formation is not just an add-on to our program. All instruction is delivered from an intentional and overt Christian worldview. Although we offer specific opportunities for Bible study and community worship, Bible is taught across all subjects and in all classes. Our staff and faculty are committed not just to live for Christ, but to model in their everyday encounters what it means to follow Him. Our small size means more opportunity to engage students one-on-one to provide both academic support and spiritual encouragement.